Hi there friends and fellow crafters. LeeAnn here and wow, it is embossing week, and I have had so much fun with this project. 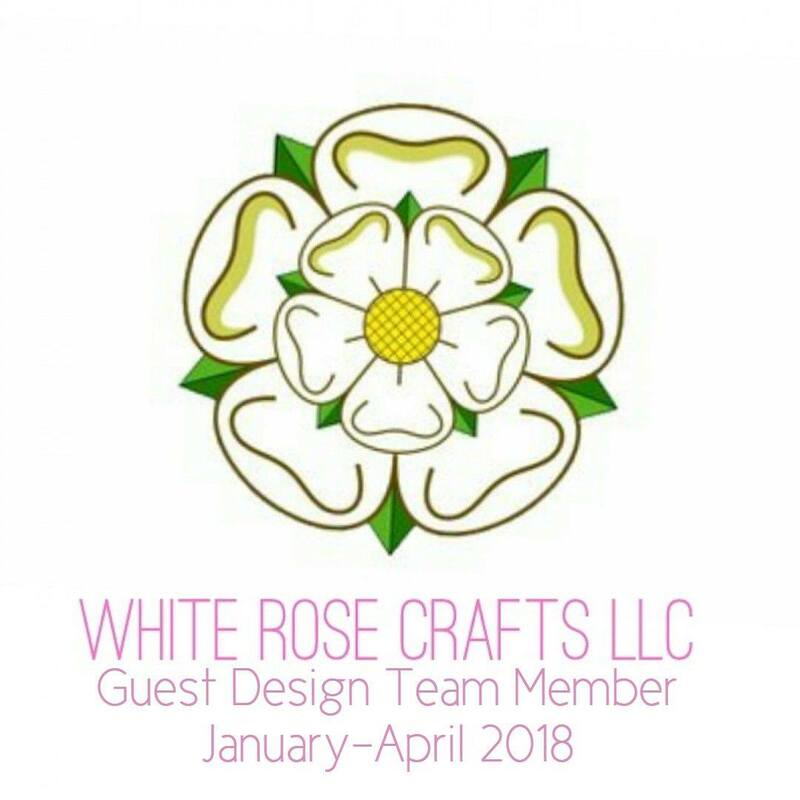 First thing I did was grab some of the scraps from the April 2018 Vintage Spring White Rose Crafts kit. I used the Rose, Autumn Hay and Spearmint Petallics strips and adhered them with double stick tape to an a2 panel. I then ran this panel through my Big Shot in a Darice Quilt Blocks Embossing folder. I loved the textures it left behind. I then used a package of MAMBI Dimensional stickers to complete the front panel of my card. This will make a great card for an upcoming baby shower. I really love the way the colors on the stickers and my embossed panel worked so well together.